to accompany their kids. 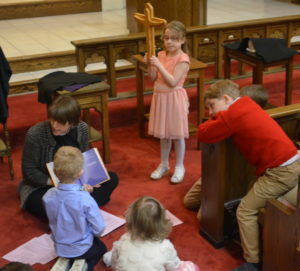 All children return at the sharing of the peace so that the whole community can come to the Holy Communion together..
Sunday School takes place every Sunday during the school year at 9:15 a.m. for children in the elementary grades. We currently use the Spark! 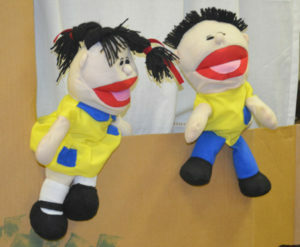 curriculum, learning Bible stories through a variety of hands-on activities. Vacation Bible School takes place every year in late June. This half-day program introduces children to Bible stories through music, games, crafts, food and story-telling. 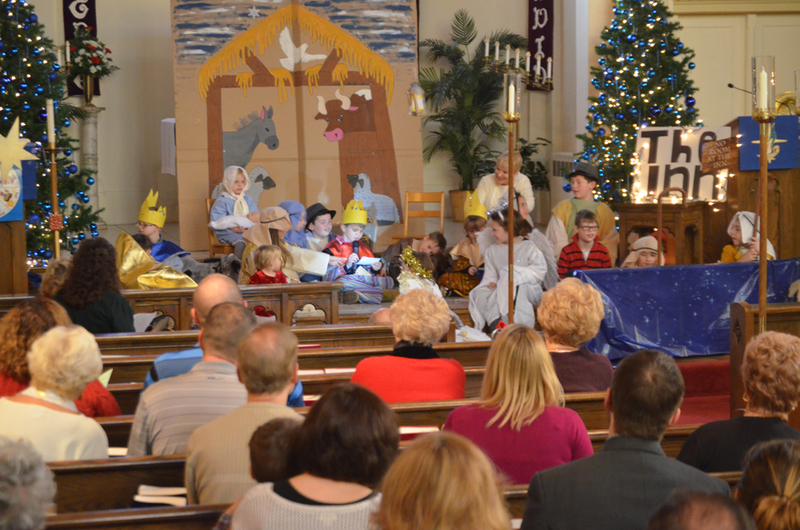 Annual Christmas Pageant takes place in worship in late December, as the children tell the story of Jesus’ birth through drama and song. “Pray and Plays” are occasional outings for children and families to connect Bible stories to every day fun.